We here at CT Indie have just gotten our hands on a fat stack of local records, and have a bunch more coming in this week, so expect a lot of reviews to be hitting the site real soon. From metal to pop, from brand new to retro - and everything in between, there's a lot of stuff to sift through here, so bear with us as we dig through the pile and find some shining gems. 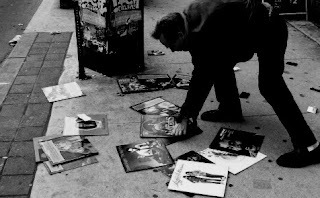 As always, we encourage you to send your ratty old vinyl, digital EPs, shank cassette demos or just whatever the hell you want to our way at any dang ol' time - ctindiemusic at gmail dot com. Just some quick helpful tips for bands out there: if you're in a band and you're not using bandcamp yet you really should be. It's way better than screwing around on myspace. Also, make yourself a last.fm page, and submit your music to CDDB. In this digital age it's hard to follow all those trends, but these are some very easy things to do that will make your online presence a lot more complete. It's the little things in life. I'm thinking these are gonna be fun-- looking forward to them..